The sheet music is included. Written by David Rovics Optional chords: Dsus2 (XX0230), Bsus2 (224402), D and Bm may be used instead. 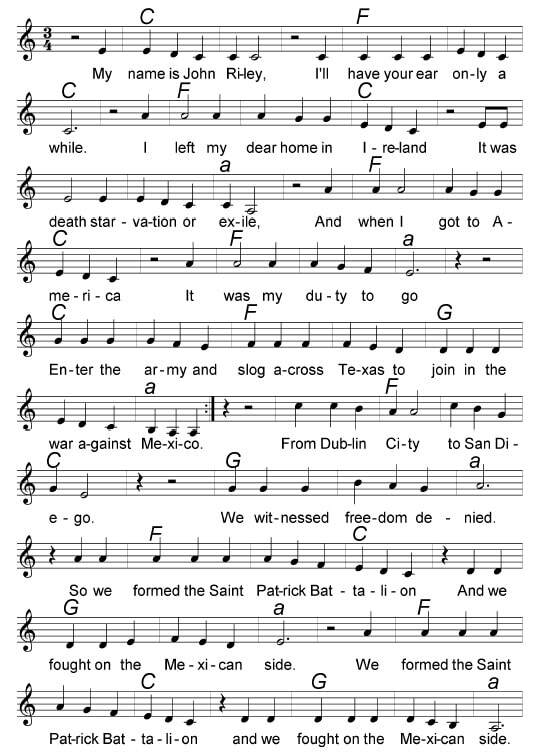 Another song about John Reilly from Clifden Galway and The St. Patrick's Battilion who fought for the Mexicans against America in 1847.